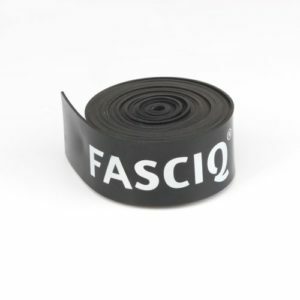 THYSOL offers high quality and sustainable FASCIQ® floss bands. When using latex flossbands (or compression floss bands) for medical mobility flossing, there are different ways to treat parts of the body all with immediate results. Wrap the floss band around the area to be treated while increasing the pressure (less pressure at the beginning and end). With each wrapping, cover approximately 50% of the previous wrap. Leave the floss band on for approximately two minutes while your client does his/her exercises. Then remove the floss band and have your client move (actively or passively) to “boost” perfusion. Repeat this process a few times. The narrower floss bands of 2.5 cm are used for smaller parts of the body, like fingers. Fast relocation and disposal of moisture after a trauma. Improved range of motion in joints. 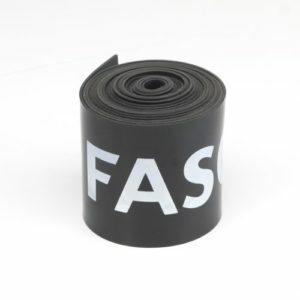 Ensures a flexible and healthy fascial network and restores balance in the body.